One of the ways in which computers get infected by adversaries is by using remote code execution exploits. Where there are attack vectors, there are defenses. A well-known piece of software that can tackle most common exploits is Malwarebytes Anti-Exploit. Just like EMET Anti-Exploit consists of a series of exploit mitigations that should stop most off-the-shelf exploits. However, this does not mean that with enough time spent into researching a security solution there is no way to bypass it. No single security product can have a definitive advantage in the cat-and-mouse game between security researchers and exploit developers at one side and the defenders at the other side. Find a single technique to disable most (or all) of MBAE’s mitigations. In this blog post a technique will be discussed that takes the second route. 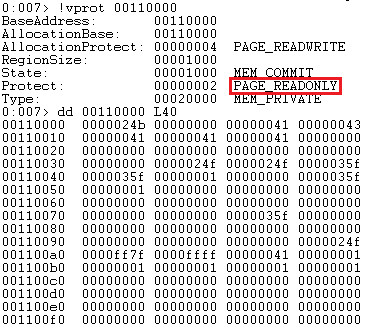 Just like EMET Anti-Exploit stores its configuration in a section of read-only memory (from now on called MITIGATION_CONFIG). Based on this configuration it is determined whether a mitigation check should be performed or not. (Almost) all mitigations that Anti-Exploit implements to appear check in the same way whether a mitigation is enabled or not. Let’s for example take the function that implements the stack pivot mitigation in Anti-Exploit 1.08.1.1189. As shown in the figure below, Anti-Exploit assesses whether the mitigation is enabled before checking whether a given address lies within the stack boundaries as defined in the TIB. If the mitigation is not enabled the function responsible for the stack pivot mitigation (mbae.dll+0x6980) will return zero as expected. There is one catch though with this AND operation, the global boolean variable (mbae.dll+0x53b00) is stored in writable memory. This disarming flaw discussed in this blog post has been fixed in MBAE version 1.09 by marking the memory that stores the boolean variable as read-only. This entry was posted in Exploit mitigations, Exploits on November 21, 2016 by ropchain.